1. 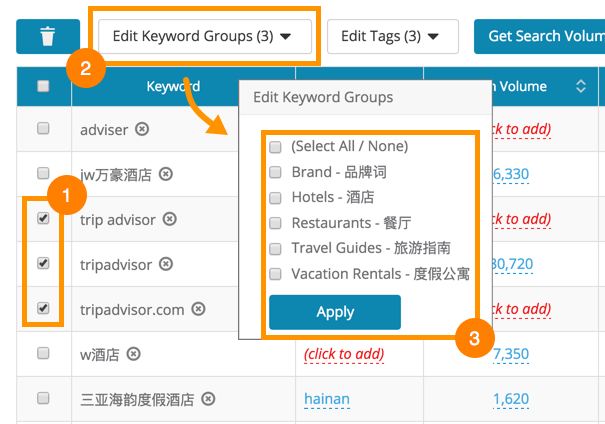 If you want to assign a single keyword to keyword groups, you can click on the Keyword Group column for the keyword you'd like to track, select Keyword Groups from the pop up window and after selecting click the tick icon to confirm changes. 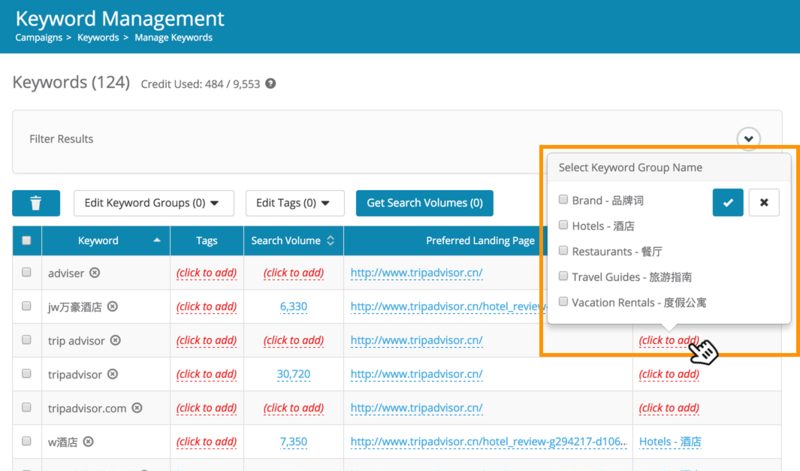 To begin, export your keyword data to Excel. Make the desired changes to the file and save it. 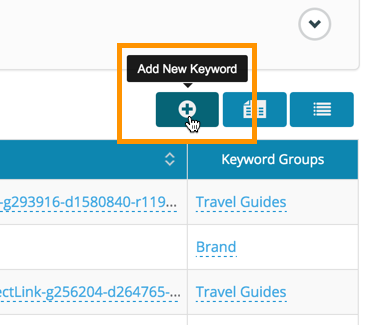 Because Keyword Group need to be created before using them in the Excel spreadsheet, if you enter a non existing Keyword Group here, you will get an error. Upload your previously updated Excel file. 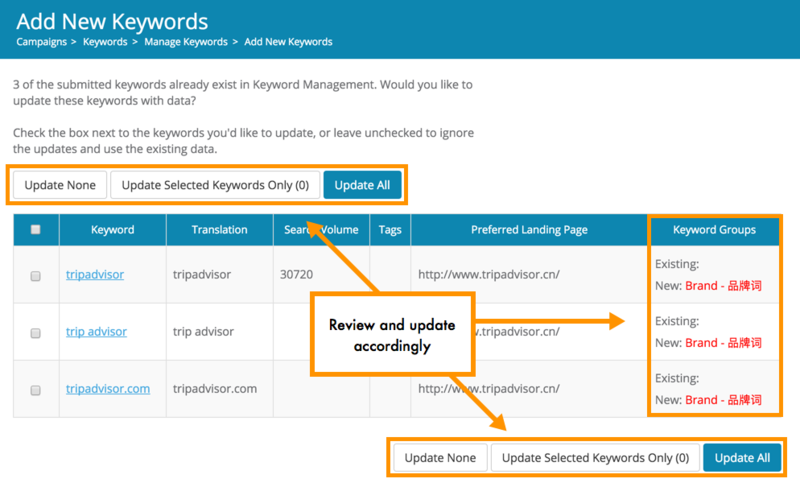 Review the new Keyword Group settings and update.